Chinese is spoken by about 1.3 billion people mainly in the People’s Republic of China, the Republic of China (a.k.a. Taiwan), Singapore and other parts of Southeast Asia. There are also communities of Chinese speakers in many other parts of the world. We chose Mandarin as a language as it is mainly used for business and travel in China, many cantonese speakers are now learning Mandarin. Chinese has the fun of learning to write the characters as well as learning the language. 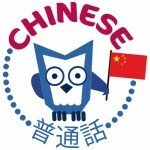 Please find below some links in relation to the Chinese Language and also China as a country and culture. Mysterious China – information about Chinese history, culture, food, etc.